Jahnavi comes from a poor family. Her parents both work but they struggle to meet their needs. She is clever and does well in school. 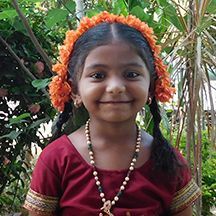 Sponsorship would provide Jahnavi with an education and basic needs.